Filing for Bankruptcy is not right for everyone. If you struggle every day with mounting debt, find out if bankruptcy can provide you with the relief you deserve. With a knowledgeable lawyer on your side, he can help you decide if bankruptcy is right for you. If you qualify for bankruptcy you could be debt free in as little as three months. If you can provide the required information we can usually file a consumer bankruptcy in three business days for less than your interest only payments on your credit cards. For so many people hard hit by the economic recession, bankruptcy is one of the only ways they can stay financially afloat. While, for some people, bankruptcy possesses a negative stigma, more people are seeing bankruptcy as a positive process, one that allows them to start over, and learn to better manage their finances in future. People who have completed bankruptcy frequently have access to low-limit credit s shortly after their debts are discharged and are eligible for a residential mortgage loan within two years after completing their bankruptcy . Most people or individuals who are suffering from too little money and too many bills find that they qualify for Chapter 7 bankruptcy. Chapter 7 bankruptcy is preferred for individuals or families who need to begin the process of liquidating assets in order to pay back accumulated debt, and it allows for certain protections, or exemptions, so that debtors can maintain important things like a house and car, so that those properties are kept from becoming part of the liquidation of assets. 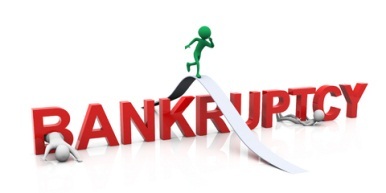 Most bankruptcies that are filed are “no asset” cases, meaning the debtor who filed the bankruptcy possesses no substantial assets that can be taken by the bankruptcy court. However, if you do possess property, there are “bankruptcy exemptions,” which are assets that are exempted from the bankruptcy liquidation, which is when assets are used to repay creditors. Attorney Gurdin can help you determine what to exempt in your bankruptcy filing so that you can keep the possessions you hold dear when you file for bankruptcy. At the Law Office of C. Stephen Gurdin, he has helped countless people struggling with debt, just like you. Working closely with you throughout the process, he will teach you your rights and all of your options, so you can make a well-informed decision regarding your financial future. Only an experienced Bankruptcy PA Debt Relief lawyer can help you determine whether or not you meet the requirements for bankruptcy relief. It is also important to remember that there are different types of bankruptcy available. While one type of bankruptcy may not meet your needs, another type of bankruptcy may provide the answers you are looking for. C. Stephen Gurdin will help you explore all your bankruptcy options, determining if you qualify for Chapter 7, Chapter 13, or Chapter 11 bankruptcy. If You Are Not Eligible for Bankruptcy! If Attorney Gurdin looks at your financial situation and determines that bankruptcy is not right for you, he will let you know, and he will not urge you to file needlessly. Instead, he has the knowledge and experience to work with you in exploring alternatives to bankruptcy in order to get your financial affairs in order, and he will work to provide you with the effective legal counsel you need to get to get your and your family’s life back on sound financial footing. Filing for bankruptcy is a big, life-altering decision, and it is one that could provide you with the relief you are so desperate for. Attorney Gurdin will take the time to look at your personal financial situation and help you find immediate relief and long-term financial stability. Toll Free at, 800.221.0618 to schedule a free initial consultation. Previous Previous post: Benefits of Bankruptcy? Next Next post: Life After Bankruptcy?